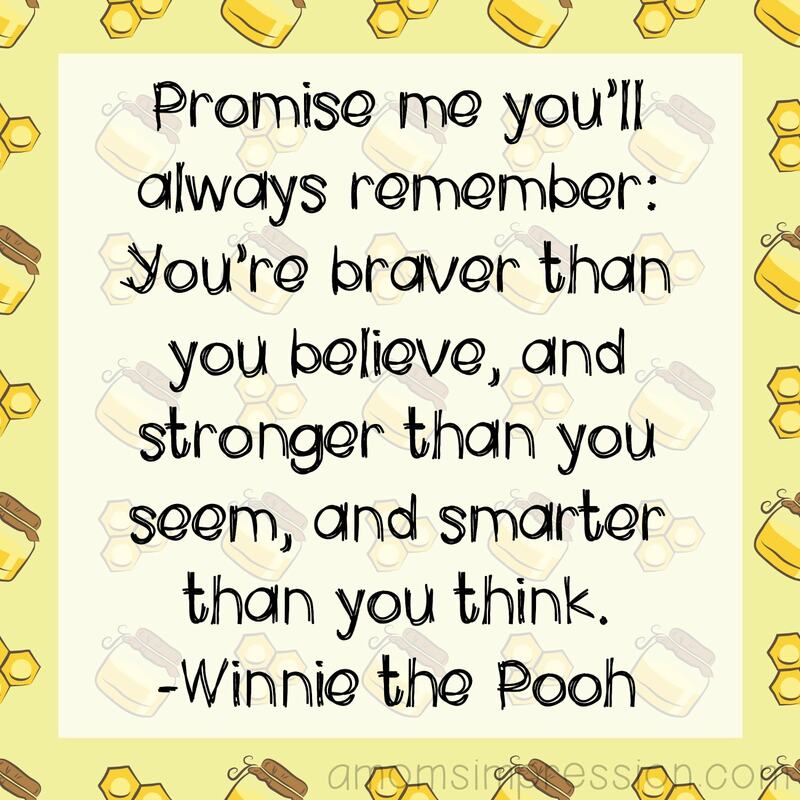 This collection of the best Winnie the Pooh quotes will brighten your day and make you feel all warm and snuggly inside. 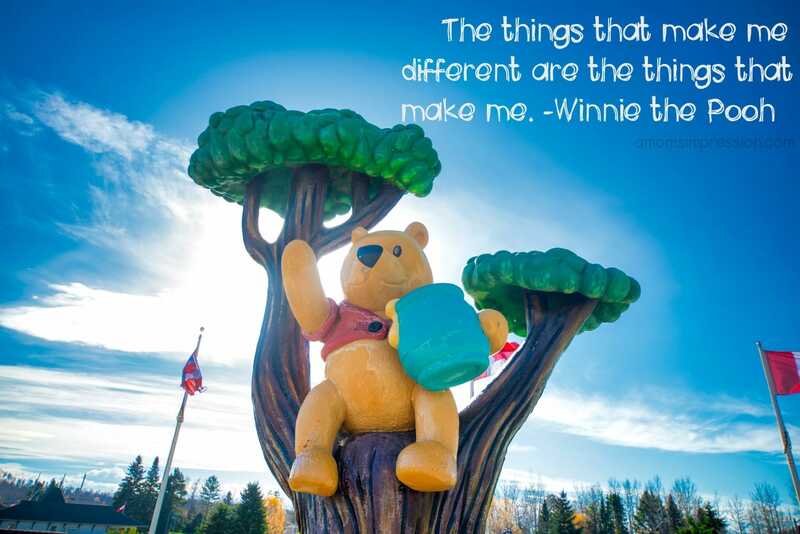 What is better than a little inspiration from our favorite bear? 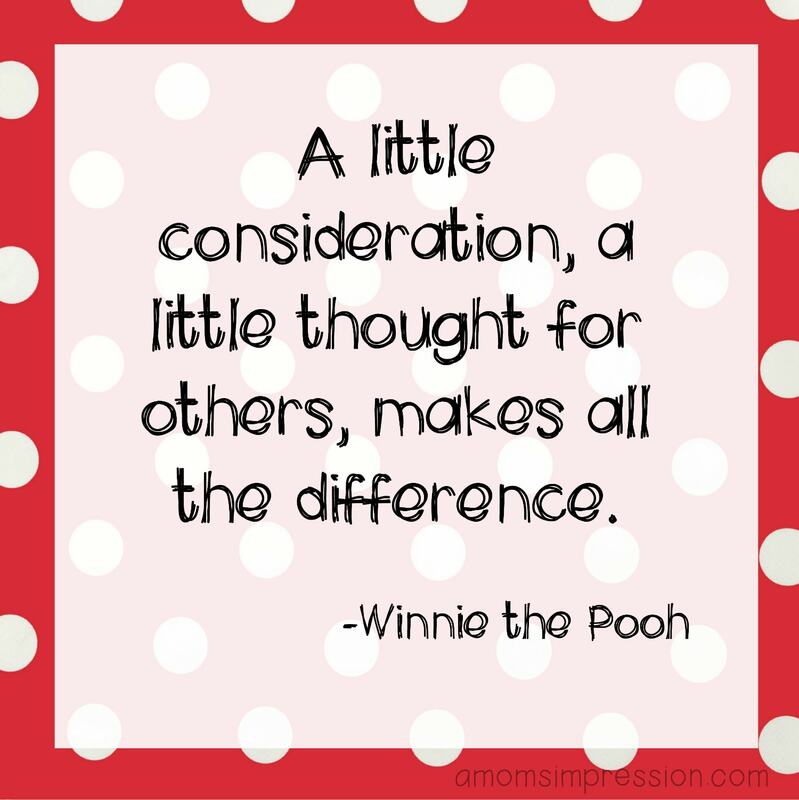 I’ve been asked time after time why Winnie the Pooh is so important to me. It is a hard thing to answer. 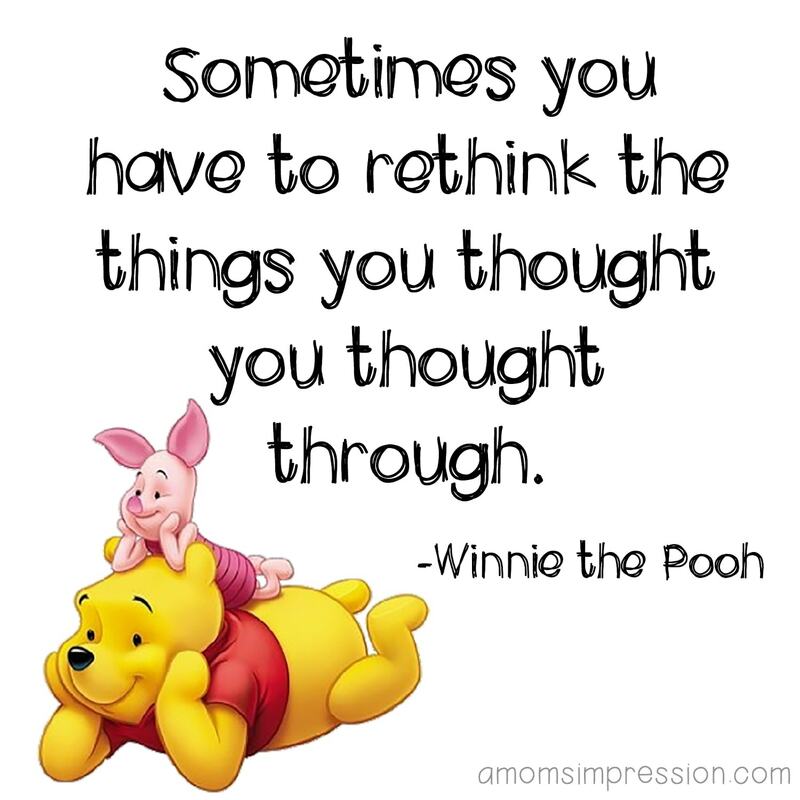 From Pooh, to Piglet to Tigger, these beloved characters have all been there for me ever since I was a little girl. My dad would play House at Pooh Corner, by Kenny Loggins & Jim Messina for me over and over again. I loved that song. Fast forward to my high school days when Kenny Loggins added a new verse to his song and updated it. 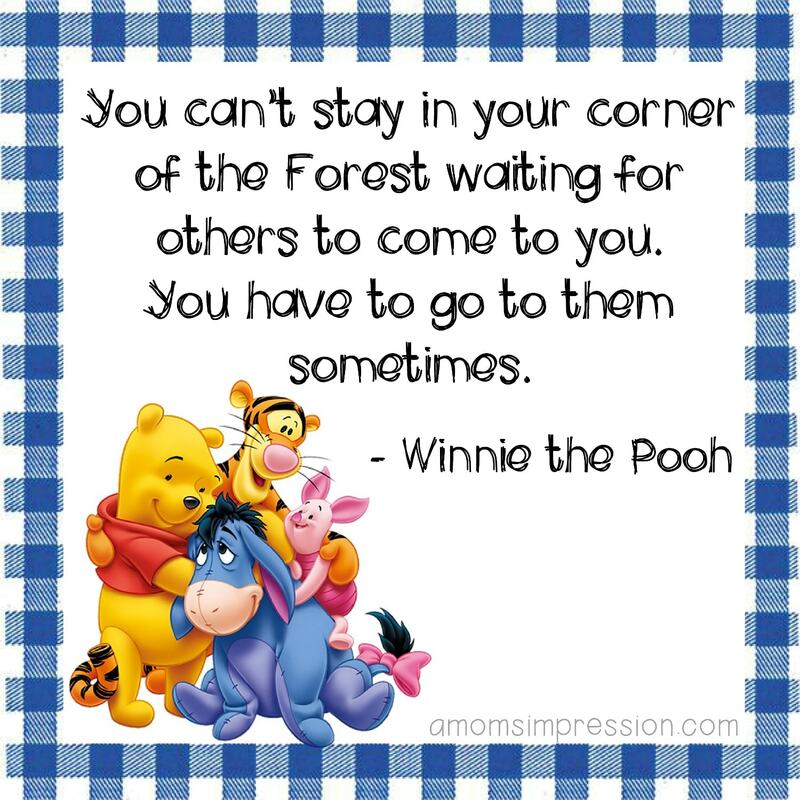 “Return to Pooh Corner” brought me to tears when I first heard it. It still does. 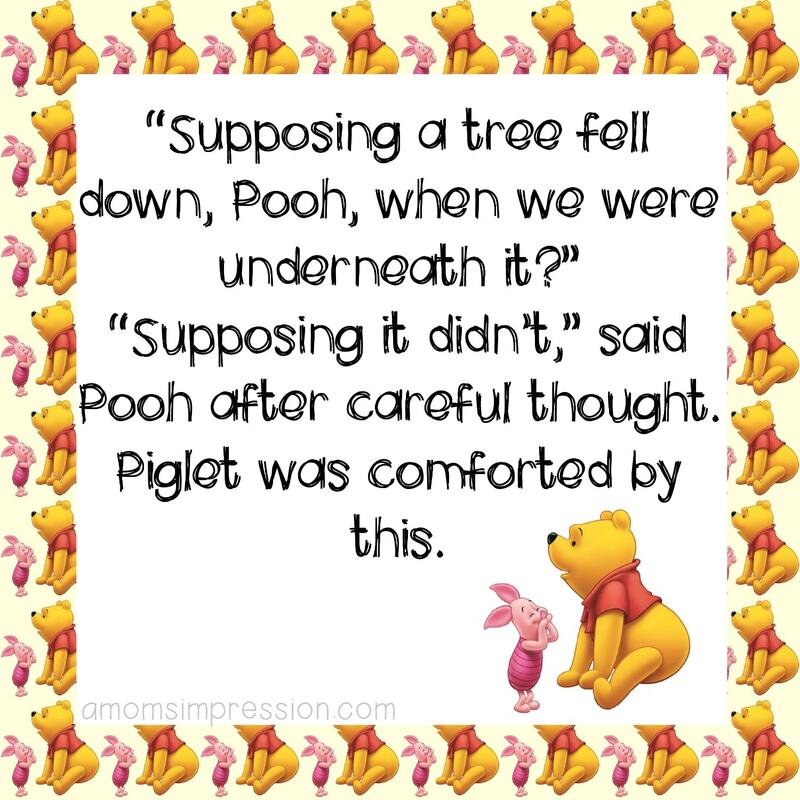 I sang “Return to Pooh Corner” to my son when he was an infant to get him to fall asleep. I sing it to my daughter at night sometimes when she wants to hear a song. It is a piece of me. 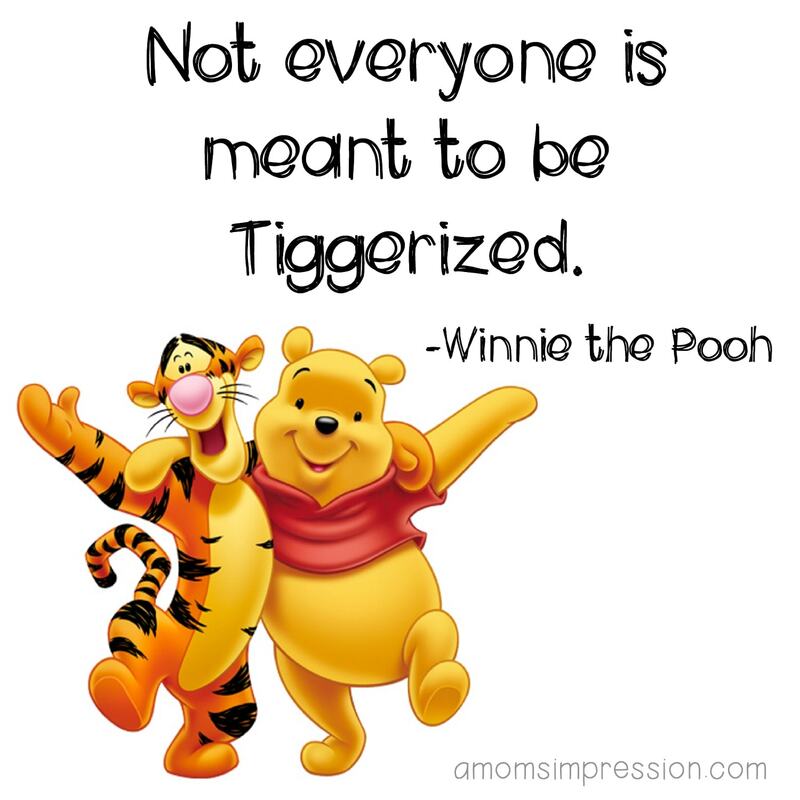 Winnie the Pooh is my childhood and also my children’s. I have wonderful memories watching shows and reading the books. I am never that far away from the Hundred Acre Woods. 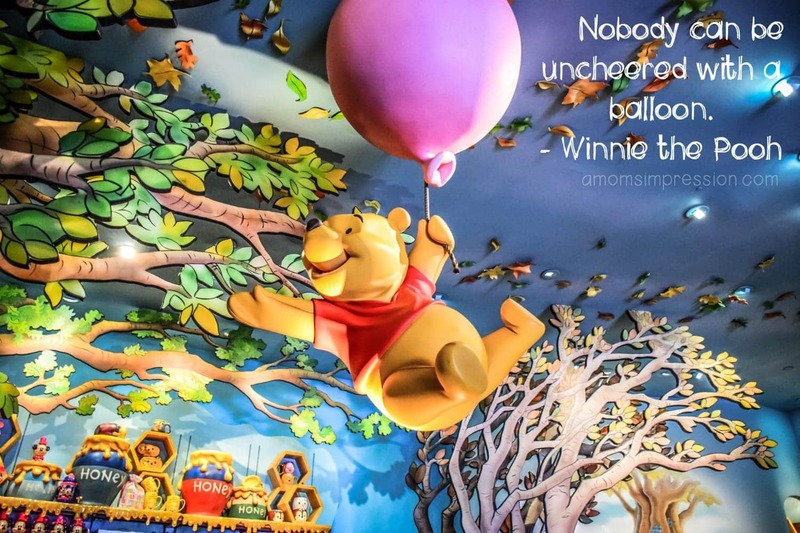 One of the reasons we all love Pooh is because of his lovable Pooh-isms as I like to call them. Here are some of my favorites! The Thing To Do isn’t the easiest Thing To Know. If you find yourself missing something important, like a tail, always remember that it can take a lot of trying to find the right ending. Expect the expected if you’re sitting on a jack-in-the-box. I imagine scary things get scarier the more you imagine them. Sometimes it takes two to tackle a task. Especially if one supervises. It’s good to face your fears, particularly when you’ve been hiding from them for a while. Even in the rumbliest of times, a good friend should come before a rumbly tummy. If you REALLY think about it—everything IS honey. We love quotes from our favorite characters and authors. Click here for some fun Dr. Seuss Quotes! Happy 4th of July! Hope you have a great day. Very cute! Hope you had a happy 4th!